The Scafell caldera-lake volcaniclastic succession is exceptionally well exposed. At the eastern margin of the caldera, a large andesitic explosive eruption (>5 km3) generated a high-mass-flux pyroclastic density current that flowed into the caldera lake for several hours and deposited the extensive Pavey Ark ignimbrite. The ignimbrite comprises a thick (≤125 m), proximal, spatter- and scoria-rich breccia that grades laterally and upwards into massive lapilli-tuff, which, in turn, is gradationally overlain by massive and normal-graded tuff showing evidence of soft-state disruption. The subaqueous pyroclastic current carried juvenile clasts ranging from fine ash to metre-scale blocks and from dense andesite through variably vesicular scoria to pumice (<103 kg m−3). Extreme ignimbrite lithofacies diversity resulted via particle segregation and selective deposition from the current. The lacustrine proximal ignimbrite breccia mainly comprises clast- to matrix-supported blocks and lapilli of vesicular andesite, but includes several layers rich in spatter (≤1.7 m diameter) that was emplaced in a ductile, hot state. In proximal locations, rapid deposition of the large and dense clasts caused displacement of interstitial fluid with elutriation of low-density lapilli and ash upwards, so that these particles were retained in the current and thus overpassed to medial and distal reaches. Medially, the lithofacies architecture records partial blocking, channelling and reflection of the depletive current by substantial basin-floor topography that included a lava dome and developing fault scarps. Diffuse layers reflect surging of the sustained current, and the overall normal grading reflects gradually waning flow with, finally, a transition to suspension sedimentation from an ash-choked water column. Fine to extremely fine tuff overlying the ignimbrite forms ∼25% of the whole and is the water-settled equivalent of co-ignimbrite ash; its great thickness (≤55 m) formed because the suspended ash was trapped within an enclosed basin and could not drift away. 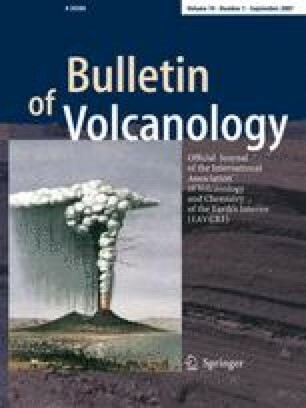 The ignimbrite architecture records widespread caldera subsidence during the eruption, involving volcanotectonic faulting of the lake floor. The eruption was partly driven by explosive disruption of a groundwater-hydrothermal system adjacent to the magma reservoir. We gratefully acknowledge NERC Grant F60/G2/31 awarded (to PK) to map the Scafell caldera, and funding via a Shell PhD Scholarship Award (to PR). We greatly benefited from discussions with Ben Kneller and Brian McConnell, who mapped the caldera with us. We are indebted to Kay Lancaster for her expert cartographic assistance and infinite patience, and to Helen Kokelaar for compiling the reference list. Thorough and thoughtful reviews by Malcolm Howells, Vern Manville and Jocelyn McPhie substantially improved the style and content of the paper. We also thank Eric Johnson and Tony Reedman for insights regarding the geology east of Pavey Ark.